Can polar opposites Donald Trump and Justin Trudeau find common cause? 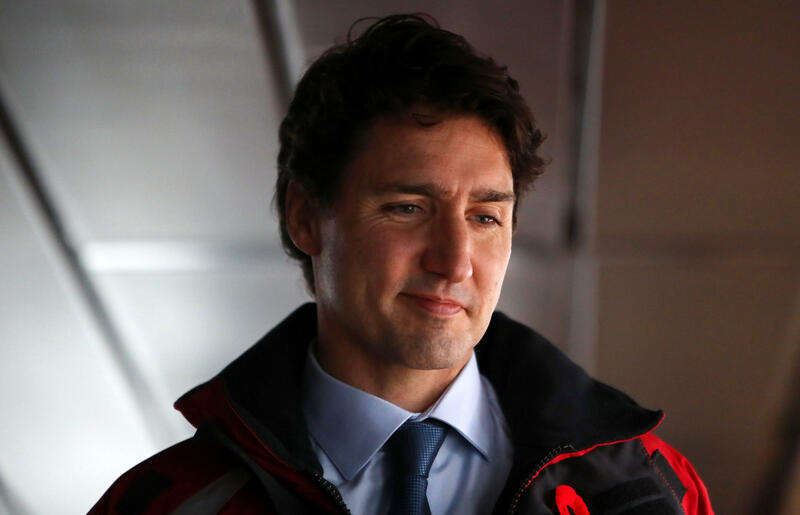 OTTAWA, Ontario -- Canadian Prime Minister Justin Trudeau and U.S. President Donald Trump will participate in a roundtable discussion about women in the work force Monday, an early sign of cooperation as Trudeau seeks to have good relations so Canada is not targeted in trade talks. In his first face-to-face meeting with the new U.S president, Trudeau will also meet with Mr. Trump to talk about trade and participate in a working lunch. Trudeau’s close cooperation with Mr. Trump and the first daughter could ease some worries among Canadians that the U.S. president will enact protectionist measures that could hurt the Canadian economy. It could also alleviate some fears that Mr. Trump will be as combative with Trudeau as he has been with the leaders of Mexico and Australia. Trudeau, 45, and Trump, 70, are polar opposites. Trudeau is a liberal who champions free trade and has welcomed 40,000 Syrian refugees. He calls himself a feminist and his Cabinet is 50 percent women. Mr. Trump has few women in his Cabinet. He has taken a protectionist stance on trade and wants to crack down on the inflow of migrants and refugees.